This Valentine’s Day, there are many romantic things to do in Gatlinburg for couples looking to make a getaway. They range from the traditional spa or romantic dinner for two in a nice restaurant to unique options only available in the Great Smoky Mountains area. If you are looking for new and exciting ways to spend time with your Valentine this year, then this list can get you started. If you and your Valentine are fans of the great outdoors, then a trip to the Great Smoky Mountains National Park should be at the top of your Valentine’s date to-do list. There are different ways to enjoy the mountains, and all have their own type of romantic flair. A horseback trail ride through the mountain will give you and your partner the chance to travel some unique trails not normally accessed by regular hikers. Organized trail rides are usually booked by the hour or half hour segments so you can plan your ride and see the country with local experts who know their way around. The Great Smoky Mountains National Park features hundreds of miles of hiking trails ranging from simple hikes for beginners to more challenging trails for experienced backpackers. Here you can see sights that will inspire awe at Mother Nature’s epic beauty and create memories for you and your Valentine that will last a lifetime. Plus you can spread out a picnic at a peaceful spot you find along the way. Nothing says “I love you” like sitting down to eat a quiet meal together high up in the Great Smoky Mountains. 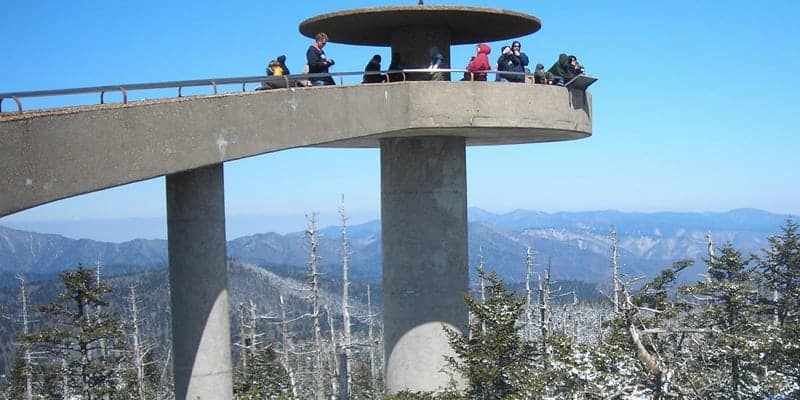 If you and your loved one cannot choose between shopping, skiing, ice skating and snowboarding, then the best choice for romantic things to do in Gatlinburg is probably going to be a trip to Ober Gatlinburg. It has a little of everything. You can rent skates and time on the indoor ice rink, or do some shopping in the mall concourse. If you both love skiing and snowboarding or want to learn, there are many mountains and trails to travel down together and classes to teach you how. The Dollywood amusement park and its neighbor, Splash Mountain, may not be the first thought people have for romantic things to do in Gatlinburg, but it is still fun. Couples may even find they enjoy it more without having the kids in tow, and romantics can find that they feel like kids again when they share a roller coaster ride or twirl in the whirligig rides. If your dream Valentine’s Day would be full of laughter and fun, then Dollywood might be the perfect place to spend it. For the country music fan, Dollywood also showcases lots of live music and entertainment. If you also want to enjoy the water rides at Splash Mountain, you can buy combined tickets for both parks for less than 32 dollars per day. Splash Mountain is a full adventure water park, so you and your date can take the water slides, swim and play together in your swimsuits all day long. If you and your Valentine want to cuddle close and really see the sights, then the Gatlinburg Sky Lift would make for an unforgettable Valentine’s Day experience. 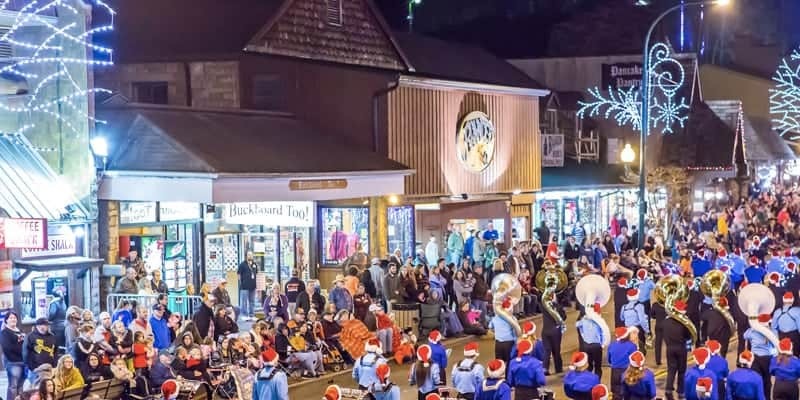 It begins at 9am and continues until 9pm, so you can make it a morning event to start your day or travel at night view the landscape and Gatlinburg city lights under the stars. The Sky Lift will carry you and your Valentine 1,800 feet into the air. Below you will stretch a full panorama of some of the most rugged and beautiful mountains in the country and there will be nothing above you except clear blue skies. The Lift automatically takes a photo as you rise to the top, which you can purchase and take home as a special souvenir. Gatlinburg and Pigeon Forge are home to several local craft breweries, wineries and distilleries. If you and your date want an adults only outing this Valentine’s Day, then a trip for two to a wine or craft beer tasting is a very romantic way to spend the day. There will be many couples with similar interests coming together on February 14th at these events. You can try legalized moonshine, handcrafted local vintages of wine, or unique beers not found anywhere else. After you finish the tasting and know your favorites, you may even want to bring home a few samples so you can have a reminder of the special day during future celebrations. For total relaxation, try one of the many spa and massage parlors located throughout Gatlinburg and Pigeon Forge. It brings an hour or two of bliss and can kindle romantic feelings during a very special day for both of you. Plus, every relationship is better for people having a chance to relax and be pampered once in a while. Finally, nothing says Valentine’s Day quite as completely as a nice dinner with the right ambient lighting, delicious food, and cool drinks. There are tons of restaurants catering to everybody’s taste buds in the Gatlinburg area, so you can plan ahead for one that you would both enjoy. The right restaurant can be a feather in the cap on romantic things to do in Gatlinburg before you settle in for a romantic evening.